Summerlin Dental is a family practice located in Las Vegas Nevada; we service patients of all ages and are committed to providing a beautiful, healthy smile. With our family and cosmetic dental services we pair up state of the art technology and a friendly environment to provide you with excellent dental care. Invisalign technology uses an impression of your teeth to create a series of aligners made out of a plastic material that is durable and flexible. The aligners need to be worn during the majority of the day, but need to be taken out when you eat. Every two weeks you will need to come back into the office and switch them out for your new pair of aligners. You will continue this process over the course of a couple months. This continual process helps your teeth shift into their optimal position by slowly making minor adjustments in targeted areas. The Invisalign process allows the ability to straighten your teeth almost invisibly. 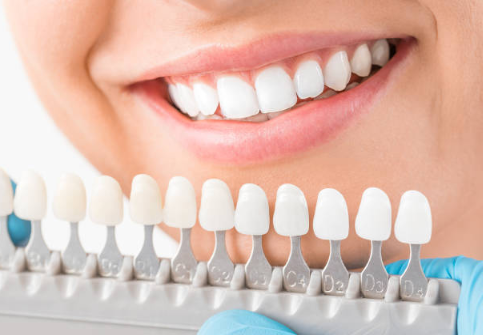 Teeth whitening enhances the brightness and shine of your natural teeth. The effects of the teeth whitening treatment can last up to 4-12 months depending on the type of treatment used and the patient’s diet. Be aware that certain foods or drinks are known to stain your teeth such as coffee, tea and red wine. One way to help your teeth whitening last longer is to rinse your mouth with water immediately after drinking coffee, tea or red wine. Dental bonding is a procedure done to restore a damaged tooth or to make an aesthetic change that will improve the appearance of your smile. Dental bonding is considered one of the easiest and least expensive cosmetic procedures making it an affordable solution that provides long-lasting results. It also one of the least invasive procedures so it is a recommended option for children and adults who may not require alternative procedures such as dental veneers and crowns. Dental bonding is a dependable cosmetic procedure that provides a natural looking solution to maintain a beautiful smile. Dental implants provide one of the best results for individuals that are looking to restore missing teeth. The gap that missing teeth create can cause your other teeth to shift out of place; making it difficult for to speak or eat correctly. After the implant has been secured, the crown is then attached and is personalized to match the natural features of the rest of your teeth. This treatment restores your oral health and provides a significant aesthetic improvement to your smile. If you have several teeth missing or dentures there are several dental implant options to improve you’re the function of eating and the look of your smile. Please call our office today and set an appointment with some of the best general, cosmetic dentists and oral surgeons in the Las Vegas and Summerlin area.